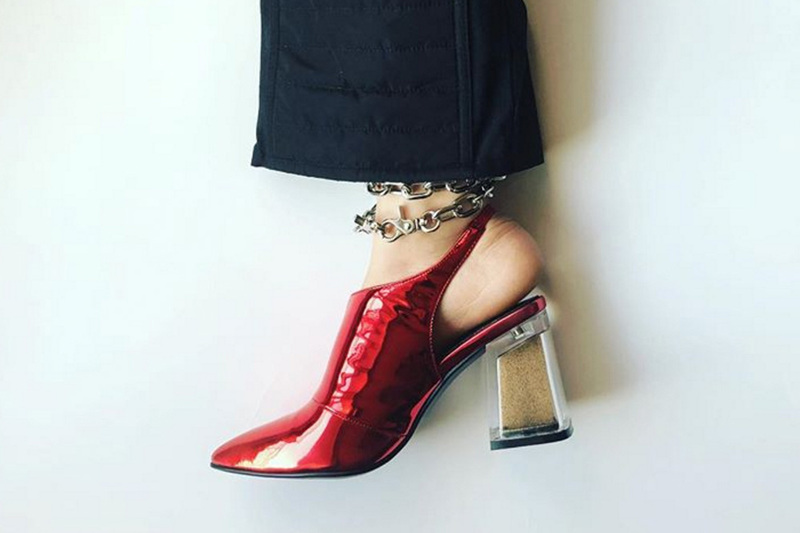 Shaikha Al Ali finally launched her shoe label, Gasah Studio, after teasing her followers on Instagram with sneak peeks to the collection. Throwing a major curve ball, Gasah only features two designs, a heel and a flat, both denoting a history of Arab craftsmanship coupled up with contemporary vision. Gasah Studio’s newly iconic Kuthub shoe represents the juxtaposition of old and new, with a slick block heel filled with sand from the deserts of the UAE, whilst the flat, Nakhla babouche takes a multi-functional and practical stance as both babouche and loafer. If you’re a shoe connoisseur who appreciates the unique details, you’ll love everything that’s gone into the creation of these shoes. The brand’s website states, "Gasah studio is a personal project by Shaikha Al Ali aimed at developing products that bring forward new ways of taking Gulf culture and combining both old and new, and different and common. Studying how traditional forms can combine with modernistic aesthetics and introduce new designs and forms." Does exactly what it says on the tin! Founded by 24-year-old Shaikha Al Ali in 2017, Gasah Studio’s first ever collection featured knotted silk henna printed bags that bought together Emirati and Japanese design elements. Driving the brand forward, she went on to create a collection of homewares, including incense holders, a mibkhar, and picture frames that all held a design quality like no other.